If you’ve struggled for years to lose weight, you aren’t alone. According to the Centers for Disease Control and Prevention, 70.7% of U.S. adults are overweight or obese. * That’s more than two-thirds of our nation struggling with the stigma associated with being overweight, not to mention obesity-related illnesses like high blood pressure, high cholesterol, diabetes, sleep apnea, and heart disease. Take heart, because there’s hope. 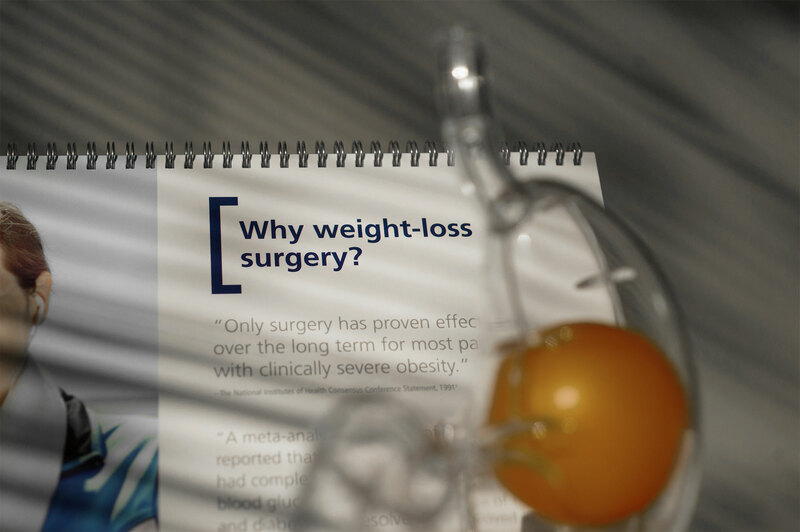 Wiregrass Surgical offers surgical and non-surgical weight-loss procedures to improve your quality of life. Our techniques are minimally invasive and considered low-risk, safe operations. It is well known that losing weight and keeping it off leads to better health with the potential to drastically improve — or even cure — diabetes and hypertension. Break free from the trap of obesity and the lifestyle and prescription medications that go with it. Our team of bariatric experts — including your own personal Bariatric Navigator — will walk you through the process to a brand-new life. Not everyone is a candidate for bariatric surgery. Body mass index (BMI) is a measure of body fat based on your weight in relation to your height. Typically, adults with a BMI greater than 40 are considered morbidly obese and have a higher probability of obesity-related health risks. A BMI of anything greater than 30 is considered obese. If your BMI is greater than 40, you may qualify. If it’s between 35 and 40 and you have at least one significant medical condition, you may qualify. Most insurances offer benefits for qualifying patients. For more information, call one of our compassionate Bariatric Navigators at 334.944.7095. Bariatric surgery = surgical procedures performed on the stomach or intestines to promote weight loss. It’s called metabolic surgery when performed to help control diabetes. As the only bariatric surgeons in the area, Dr. Brad Marker, Dr. Steven Fendley, FACS and Dr. Emily Cannon of Wiregrass Surgical are not general surgeons who “dabble” in bariatric surgery and weight loss solutions. They consider their work a vocational calling. Together,with Flowers Hospital, they maintain the accredited Metabolic and Weight Loss Surgery Center of Excellence — a nationally designated clinic that demonstrates their achievement of building and maintaining a program truly dedicated to excellence. Dr. Bradley Marker, FACS, has been practicing with Wiregrass Surgical for 9 years and is passionate as a patient advocate for bariatric weight loss solutions. He serves as the Medical Director of the Center for Metabolic and Weight Loss Surgery at Flowers Hospital in Dothan, AL and performed the first laparoscopic sleeve gastrectomy in the region in 2011. He further advanced weight loss options for the patients he serves by performing the first robotic sleeve gastrectomy in the Southeast. He’s currently the highest volume robotic bariatric surgeon within the 159 CHS hospital facilities. He is a member of ASMBS and SAGES. Dr. Steven Fendley, FACS, has been practicing General Surgery for 28 years and was among the first surgeons to perform gastric bypass surgery. 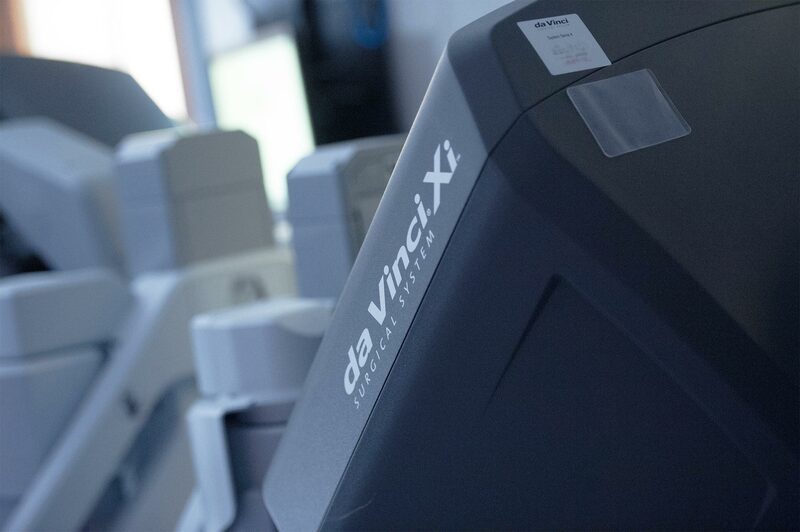 Along with his partners, he offers low risk, safe and effective weight loss surgery with the gastric sleeve procedure utilizing the da Vinci robot. Dr. Fendley pioneered robotic surgery for the general surgeons in the Wiregrass and is among the highest volume robotic surgeons in the country. As part of his commitment to surgical excellence, he and his team offer ongoing coaching and support to their patients as they progress on their weight loss journey. He is a Fellow of the American College of Surgeons and a member of ASMBS and SAGES. Dr. Emily Cannon, FACS, provides her patients with the care and compassion many of our patients have come to expect. She brings to the table her advanced skillset as a surgeon, combined with an ability to put patients at ease. Dr. Cannon seeks to help her patients achieve their weight loss goals with effective and low-risk solutions. Our weight loss program is comprehensive, and increasingly recognized by leading government and private insurers when making coverage decisions. Bariatric and metabolic surgeries have come a long way since the intestinal bypass open surgeries of the 1950s. At Wiregrass Surgical, we bring highly skilled surgeons with years of experience together with state-of-the-art equipment to ensure the success of your procedure. Your surgeon will help you select the right procedure — and a new life free of the physical and mental effects of obesity. Lap-band surgery gets its name from laparoscopic technique to insert a stretchy silicone band around your upper stomach. It is one of the least invasive surgical approaches to obesity because neither the stomach nor the intestine is cut. At Wiregrass Surgical, we use the LAP-BAND® System. Drs. Marker and Fendley perform this procedure at Flowers Hospital. How it works: Through a small incision in the abdomen, a band is placed around the upper part of the stomach, separating the stomach into a small upper pouch above the band and a larger pouch below the band. The small pouch limits the amount of food a patient can eat at any one time, resulting in a feeling of fullness after eating a small portion of food. Benefits: Because the band is adjustable and doesn’t permanently alter the anatomy, it offers an option for patients who may not otherwise consider surgery for their obesity treatment. Other advantages include a shorter hospital stay and no effects on the absorption of nutrients. The procedure is typically done as an outpatient procedure in less than an hour, and has a recovery time of about a week. Next steps: If you’re interested in lap-band surgery, please call our Bariatric Navigator at 334.944.7095. Intake classes are complimentary and offered routinely throughout the year. Another minimally invasive surgical weight loss procedure offered at Wiregrass Surgical, the sleeve gastrectomy reduces the size of your stomach. It is performed robotically and laparoscopically by Drs. Robbins, Marker and Fendley at Flowers Hospital. How it works: A surgical stapling device creates a thin vertical “sleeve” of stomach, while the rest of the stomach is removed. The sleeve left behind is about the size of a banana, limiting the amount food that can be eaten so the patient feels full faster. Benefits: Food does not bypass any of the intestines, so there is no malabsorption of nutrients. The “appetite hormone” created by the stomach is reduced and as a result, hunger is significantly controlled. The procedure is minimally invasive, typically done as an outpatient procedure in less than an hour, and has a recovery time of about a week. Next steps: If you’re interested in sleeve gastrectomy please call our Bariatric Navigator at 334.944.7095. Intake classes are complimentary and offered routinely throughout the year. Wiregrass Surgical is proud to offer the No. 1 FDA-approved non-surgical “balloon system” solution to our patients. The 12-month, comprehensive two-part program has resulted in 3.1 times the weight loss over diet and exercise alone. Drs. Robbins, Marker, Fendley, and Cannon perform this procedure at Flowers Hospital. How it works: Without surgery or any incisions, a soft balloon is temporarily placed in your stomach for up to six months, taking up space in your stomach to help you eat smaller meals. You then receive personal coaching for up to six months from a team of experts including one of Wiregrass Surgical’s board-certified surgeons, a registered dietitian and a registered nurse. The balloon is deflated and removed the same way it was placed. Benefits: Weight loss is usually rapid and typically begins immediately. For more than 20 years, ORBERA™ has a track record of helping thousands of people lose weight. Patients receive a Fitbit, nutrition journal and other tools to support your journey. Next steps: If you’re interested in ORBERA™, please call our practice at 334.793.1534. Consultations for ORBERA are free. For more information and inspiring videos of our patients’ success stories, please visit http://www.flowersbariatriccenter.com/success-stories/. For access to our online seminars, please click here.